March is officially here and we only have two things on our mind: Spring and March Madness. The weather is finally starting to warm up and what better way to warm up your taste buds than with our March burger of the month – The Burger Po’ Boy. 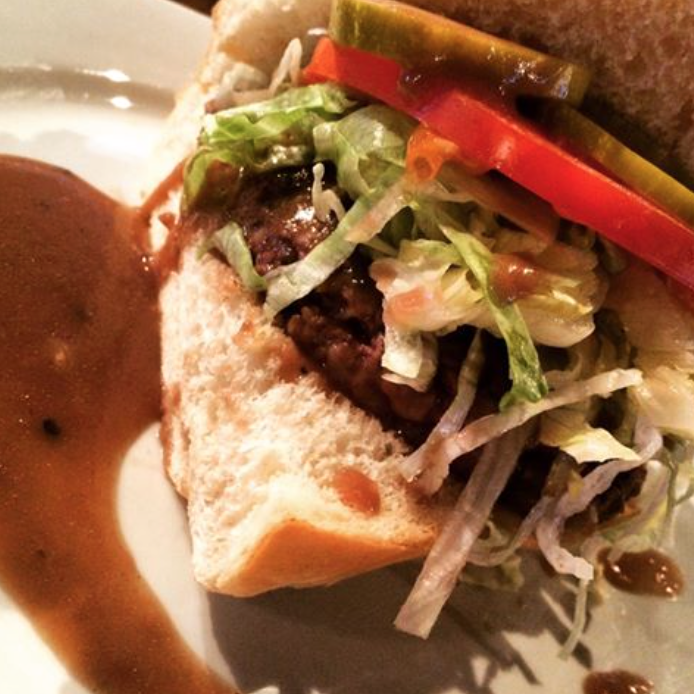 This special burger features our house ground beef topped with shredded lettuce, tomatoes, pickles, and Marchand De Vin Sauce, all sandwiched between French bread. There truly is no better combination than warm weather, basketball, and delicious food. Come visit us and kick off spring a little early with this mouthwatering Po’ Boy and one (or three) of our craft beers. Cheers, y’all!